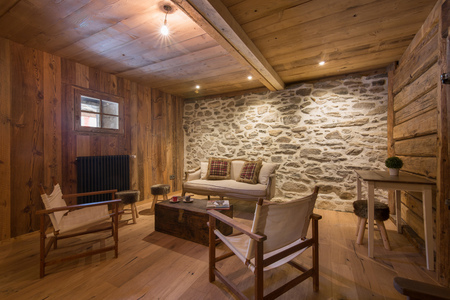 Enjoy an effortless year-round stay in the mountains, from this super exclusive farmhouse-style chalet! 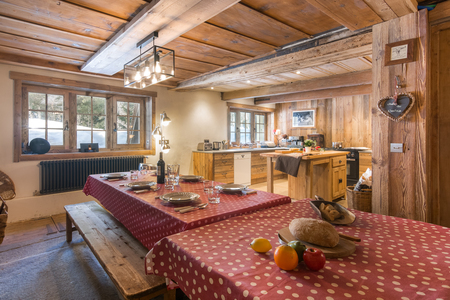 Set within a 5-minute drive from the Grands Montets Ski lift and 6-12 minutes’ drive from Argentière and Chamonix, this traditional 2-storey farmhouse promises a carefree chalet stay for flexible family stays and versatile groups of 12. 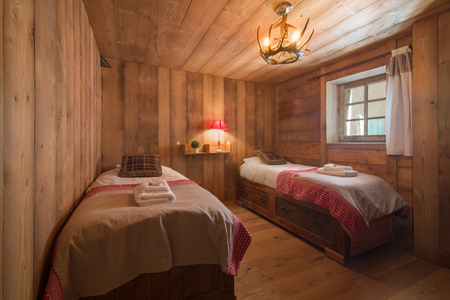 The lovingly restored home has been thoroughly modernised to include some 21st century home comforts too, including modern bathrooms, free WiFi, an iPod docking station and a private sauna. 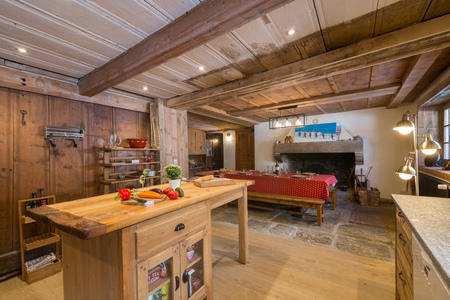 To the ground floor, a rustic family Kitchen diner sets the scene for relaxed and enjoyable meals together. 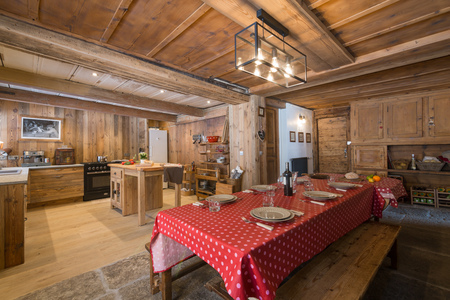 A farmhouse dining table with benches features alongside a lovely bespoke solid wood Kitchen which complements and enhances the traditional appeal of the unique home. 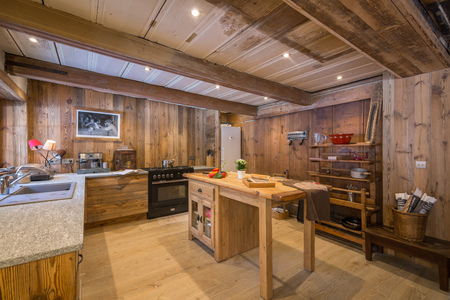 All the must-have modern day appliances are provided, including a range cooker, oven, microwave, electric kettle Krups coffee machine, toaster, fridge freezer and fridge freezer. 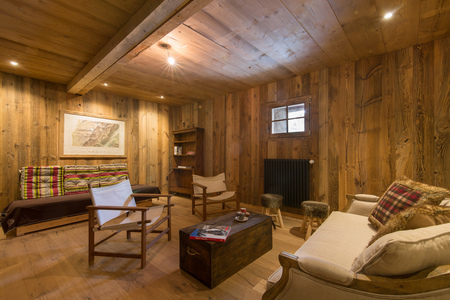 Guests can also spill out and unwind and entertain within the charming Scandi-style sitting room and within the large light and airy Living room, which offers a comfy sofa suite and fire chimney. 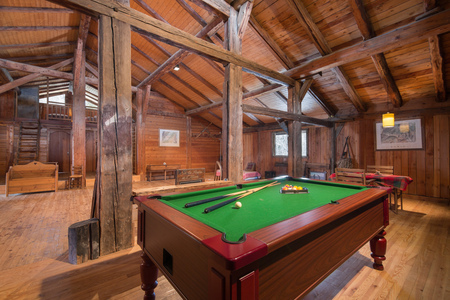 A 1st floor games room offers plenty of space for all-weather fun and is complemented by smack sitting area and pool table. 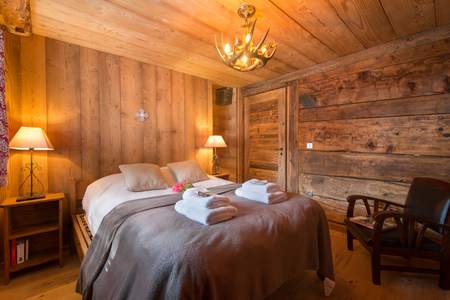 The ambient interior effortlessly continues through to the 6 inviting bedrooms. 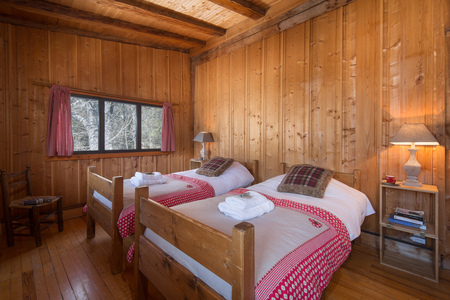 To the ground floor, a spacious Double bedroom is provided alongside a guest room furnished with 2 Single beds. 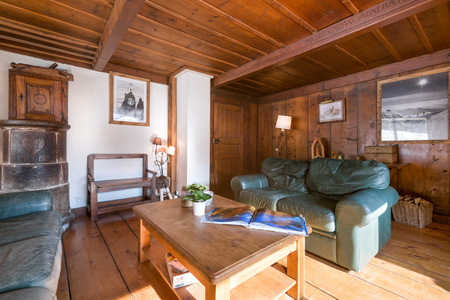 Upstairs, the 1st floor features a further guest bedroom with Single bed, a Double bedroom with wardrobe and a 5th bedroom furnished with 2 Single beds. 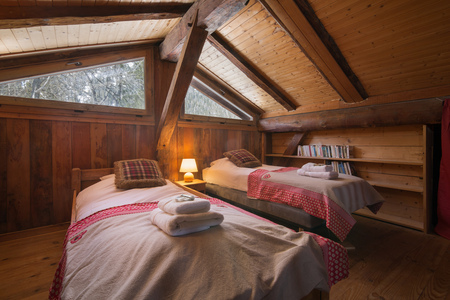 From the 1st floor games room, a ladder also leads up to a loft mezzanine floor, furnished with 2 Single beds. 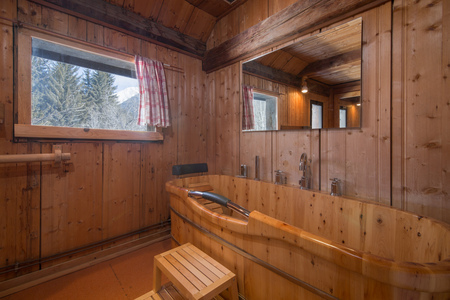 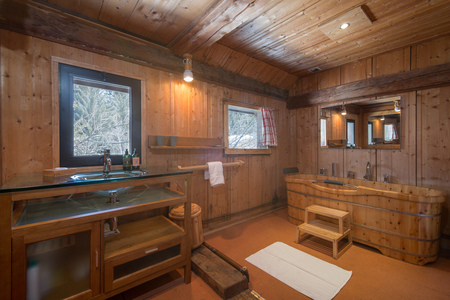 A gorgeous quirky wooden bathroom suite with wooden slat bath tub, separate walk-in shower, a contemporary wash basin and WC sets the scene for long hot soaks after a day on the slopes. 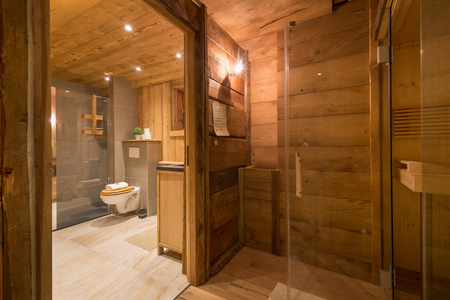 A second modern fitted bathroom with shower cubicle, wash basin, WC and private sauna will also tempt guests to unwind away in style. 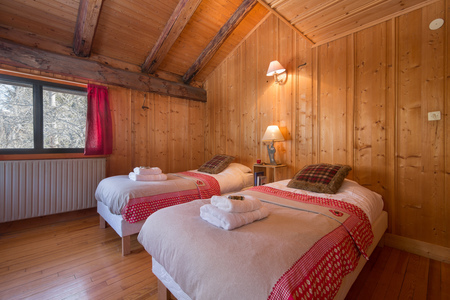 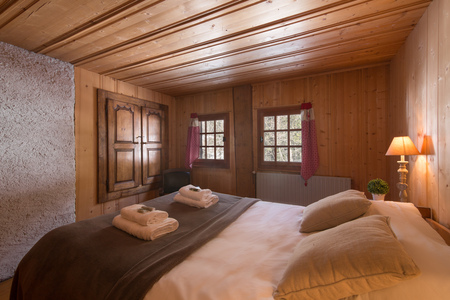 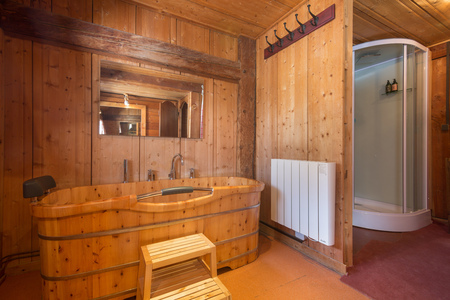 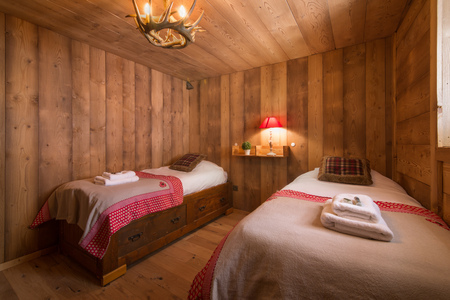 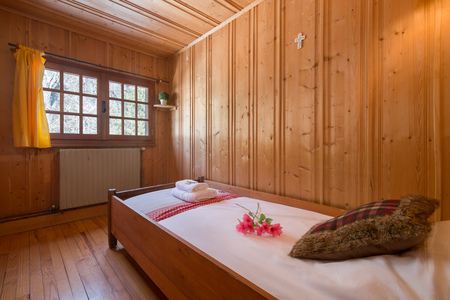 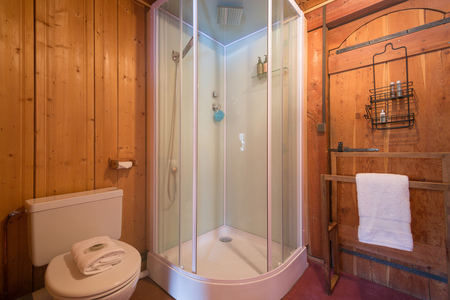 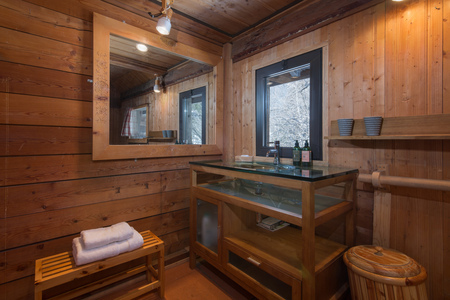 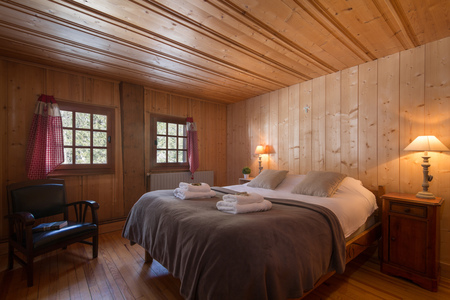 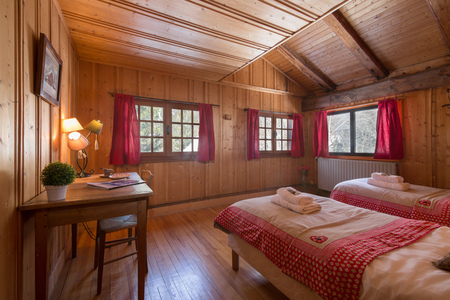 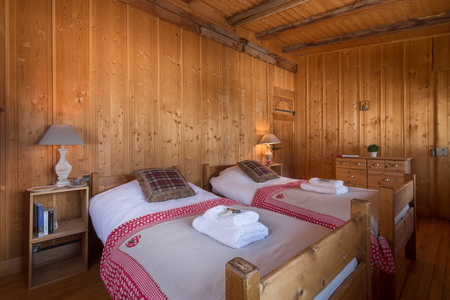 The chalet also features an extra service WC and private laundry facilities. 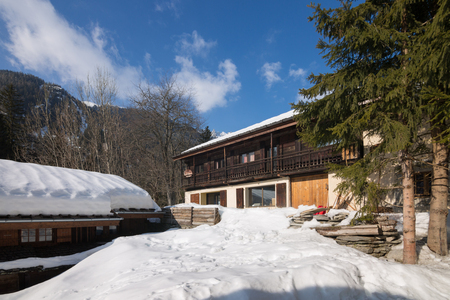 Outside, the chalet benefits from a small private garden, perfect for snow ball fights and summertime kid’s play. 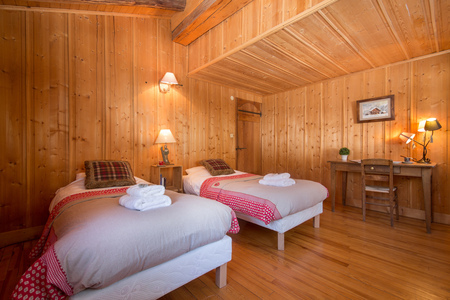 Guests will find public parking available just in front of the chalet. 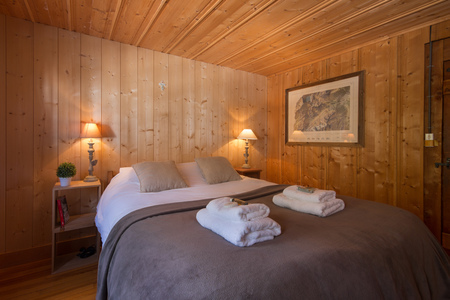 Located 6 minutes’ drive from the well-serviced resort village of Argentière and 12 minutes’ drive away from the beautiful year-round Chamonix, the setting is ideally suited for those looking to enjoy some Alpine hiking and Skiing. 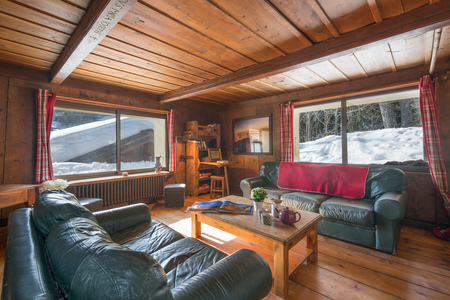 Guests are within easy driving distance from the Les Grands Montets (5 minutes’ drive away); a vast, varied area offering a wide range of pistes and extensive powder fields perfect for off-piste enthusiasts. 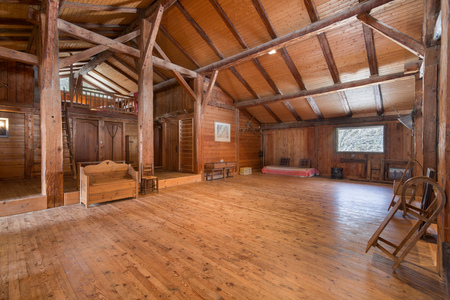 * Please note that parties are not allowed * Key Features: • Quiet location 5-min drive from the Grands Montets Ski lift • Traditional yet modernised retreat for flexible groups of 12 • A beautiful ambient farmhouse interior • TV, iPod docking station + free WiFi access • Ski storage + Sauna • Spacious Games room with Pool table • Car recommended • Close to Argentière (6-min drive) and Chamonix (12-min drive) Sleeping- Ground floor- Bedroom 1: A charming guest bedroom furnished with 2 Single beds Bedroom 2: A romantic Double bedroom 1st floor- Bedroom 3: A spacious Double bedroom with wardrobe Bedroom 4: A lovely small guest bedroom with Single bed Bedroom 5: A flexible bedroom furnished with 2 Single beds Mezzanine floor: Bedroom 6: A loft-style room reached via a ladder from the 1st floor and furnished with 2 Single beds Bathrooms- 1st floor: Bathroom 1: A quirky rustic suite fitted with a wooden slat bath tub, a walk-in shower, basin & WC Ground floor: Bathroom 2: Contemporary fitted shower room with wash basin, WC & luxury Sauna Service WC: A separate fitted WC Additional- • Electric radiators • Firewood provided • Hairdryer • Washing machine • Clothes horse & tumble dryer • Ironing facilities • 13 internal steps • 10-rung ladder to Mezzanine-level Bedroom 6 Location- The chalet residence enjoys a lovely setting close to other neighbours, along ‘Chemin Quart Deri,’. 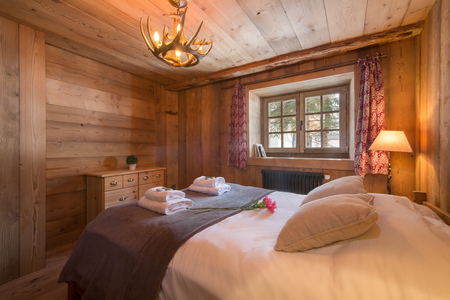 The French eateries, restaurants, cafes, winter sport facilities and resort amenities of central Argentière are only a 6-minute drive away. 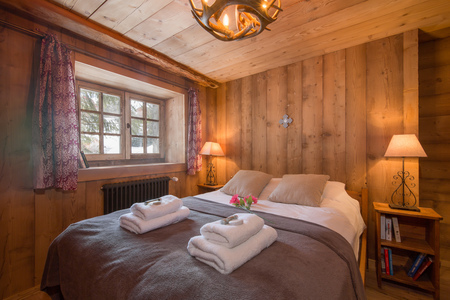 The Les Grands Montets Ski lift is only a 5-minute drive away, whilst the fashionable resort of Chamonix is 12 minutes’ drive away. 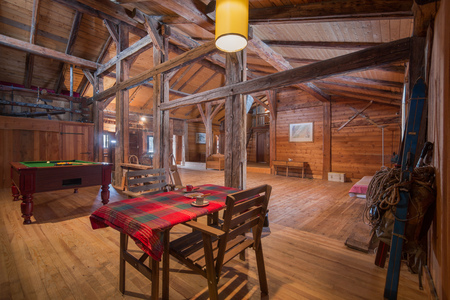 Ideal for both winter sports and summertime stays, the breath-taking scenery and fantastic range of outdoor leisure pursuits make this an inviting year-round destination. 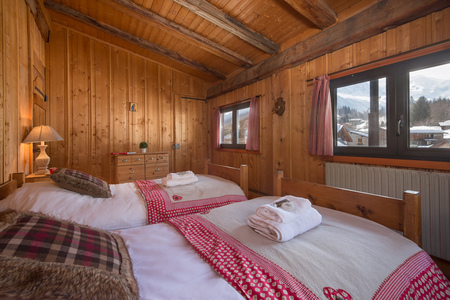 Top local activities include mountain walking, skiing, snowboarding, luxury spa treatments, horse riding, rock climbing, golf and extreme outdoor sports. 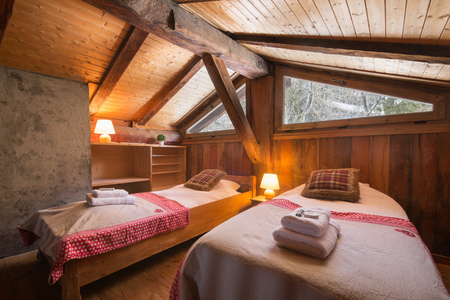 The tree-top climbing Accro Adventure Park and rock climbing crag in Lac des Gaillands are both within 15 minutes’ drive away. 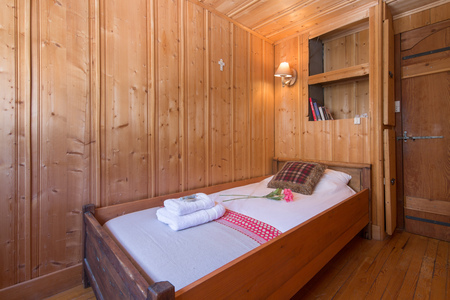 From the charming holiday location, Geneva Airport is 77 minutes’ drive away.